An official inquiry has found no evidence to support concerns of the Garda Síochána Ombudsman Commission (GSOC) that its offices were bugged. The inquiry by retired High Court judge, John Cooke, was set up by the Government in response to a political controversy which developed after a report of bugging allegations was published in the Sunday Times newspaper last February. “It is clear that the evidence does not support the proposition that actual surveillance of the kind asserted in the Sunday Times article took place and much less that it was carried out by members of the Garda Síochána,” said the report. Mr Justice Cooke criticised GSOC for opening an investigation into the bugging, saying it was premature and there was no evidence an offence had been committed. He said the decision to commence the investigation was “heavily influenced” by general levels of frustration and tension between the Garda and GSOC, which meant suspicions were acted upon that may not otherwise have been. 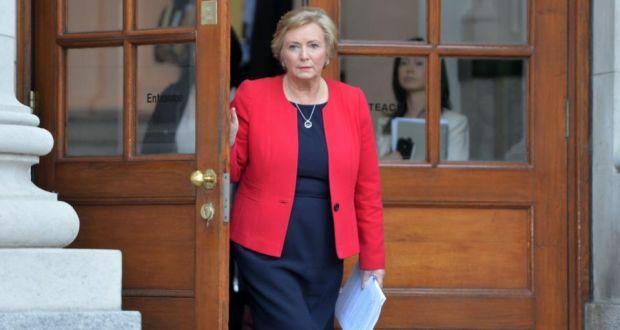 Minister for Justice Frances Fitzgerald said last night she still had confidence in the board of GSOC despite the findings of the report. She thanked Mr Justice Cooke for his “comprehensive, evidence-based report and its findings which were both clear and measured. I am very grateful to Judge Cooke for his detailed and authoritative analysis of these issues.” The Minister said the Government accepted in full the findings and conclusions of the report. The Inquiry into Reports of Unlawful Surveillance of Garda Síochána Ombudsman Commission focused on three alleged threats to GSOC. Mr Justice Cooke found as “not convincing” the accounts that an wireless AV remote control device for audio and video equipment in GSOC was connecting and transferring data to an external ‘Bitbuzz’ hotspot in a nearby café. The judge also found that an alleged fake UK 3G network, which was detected on an iPhone as operating in the vicinity of GSOC’s offices, was “highly likely” to have been caused by the testing of a new 4G installation by a mobile provider. Mr Justice Cooke made the point that in the world of covert surveillance and counter-surveillance techniques, it was extremely difficult to determine with complete certainty whether unexplained anomalies were or were not attributable to unlawful intrusion. He also found that contrary to much comment during the controversy, there was a “mandatory obligation” on GSOC to furnish information in relation to its results to both the Minister for Justice and the Garda Commissioner. At the time both Taoiseach Enda Kenny and then Justice Minister Alan Shatter were heavily criticised for saying this was the case. Ms Fitzgerald last night noted that GSOC did not report to the Minister when they should have. She also said that the proposed new Bill to reform GSOC would clarify the legal basis under which the Commission can initiate a public interest investigation. She added it would also further clarify and strengthen the provisions relating to the preparation and implementation of protocols for cooperation between the gardaí and GSOC.